Every year, approximately 6.8 million Americans donate blood. 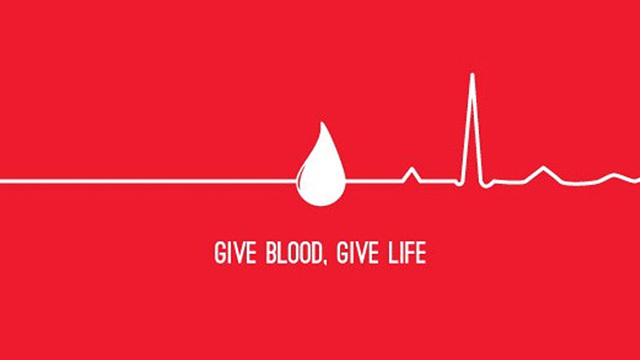 Every two seconds someone needs a blood transfusion and over 500 people must donate blood every day to meet the daily need of hospitals in emergency and operating rooms. These blood donations are used to treat illnesses such as cancers, blood disorders, anemia, a red blood deficiency of red blood cells or a hemoglobin in the blood, and during surgery. Blood is made up of plasma, red and white blood cells, and platelets. Plasma consists of water, salts, and protein. Red blood cells deliver oxygen to the lungs, tissues, and organs. White blood cells fight infections and platelets help the blood clot. Currently, there are only two official blood donation centers in the Bronx. One, the New York Cancer and Blood Specialists, specializes in the treatment of various cancers and blood disorders. The second, Project Achieve, conducts blood donations, HIV screenings, and vaccines. The rest of the blood donation centers are located in Manhattan, Long Island, and Westchester County. If a person wishes to donate blood, he or she must be at least 16 years of age with parental consent and weigh over 110 pounds. Furthermore, a person must be in good health and have not donated blood within 56 days. Blood volume donation varies depending on the height and weight of the donor. There are a range of possible recipients for blood. Cancer patients typically undergo a number of surgeries and treatments such as chemotherapy. Trauma patients, such as those involved in car accidents, those who have been shot or lost limbs, also need blood donations. According to the Red Cross, one car accident victim can need 100 pints of blood. A lack of red blood cells often leads to a disease called sickle cell, which often develops when a person’s red blood cells become misshapen or broken down. Some people may develop infections, fatigue, or a blockage of blood flow. Nearly 200,000 cases are reported U.S each year, particularly among African Americans. Whole blood, which is blood taken directly from the body in which plasma or platelets have been removed, is extremely important in this case. African American donors are highly encouraged so that a donor’s blood type can match the racial or ethnic group of the patient. Burn patients who have nerve damage or have sustained major burns also need blood donations because plasma helps to maintain blood pressure and vital functions. Lastly, people with chronic diseases such as asthma and diabetes may also need blood donations. 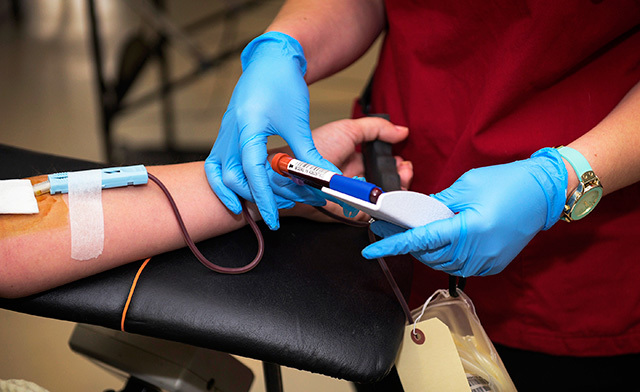 The Red Cross says it provides about 40 percent of blood and blood components in the U.S. One reason supply is insufficient, according to the agency, is that only 10 percent of those eligible to donate blood do so yearly. On average Caucasians are twice as likely to donate blood as African Americans and Hispanics. The average blood donor is a college-educated white male between the age of 30 and 50, who is married or has an above average income, according to Advancing Transfusion and Cellular Therapies Worldwide. There are four blood types: A, B, AB, and O. In transfusions, the blood type of the donor must be compatible with that of the recipient or the antibodies in the latter attack that of the former. Type O works well for most all and so it is used in emergency situations when blood of the recipients can’t be tested. According to the Red Cross, 45 percent of Americans are type O. However 51 percent of African Americans and 57 percent of Hispanics have the blood type.